Shasta Construction was formed in Shasta County in 1979. Frank Cabezud, the owner, moved to this area after working in the San Francisco Bay area for several years as a Civil Engineer. While originally formed with the idea of primarily being involved with custom home building, Shasta Construction also expanded into the areas of commercial building and remodeling. The majority of work continues to be in the custom home market with projects ranging from 600 square foot garages to homes of over 5,000 square feet. Shasta Construction has a very flexible building policy. We have worked not only in standard construction situations, but in cost plus and owner/builder projects. Communication has always been of the utmost importance to us, whether with the client, architect, draftsman, sub-contractor, employee or loan company. We feel it is the key to a successful project that can be completed on time and to everyone's satisfaction. 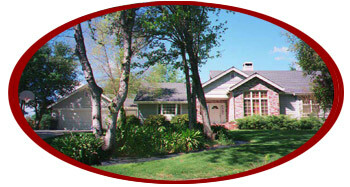 Shasta Construction has a very long list of satisfied customers who make up our extensive reference list.